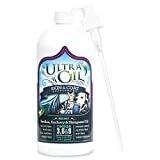 Aside from what many people think about hemp oil or hemp seed oil, this oil is actually a greatly beneficial substance to both humans and dogs alike! Hemp is one of the oldest and most versatile plants, its use being recorded back to the 28th century BC. It’s important to clarify that hemp is not marijuana, and although it is a variety of the cannabis plant, it contains a hardly traceable amount of THC, the psychoactive substance present in cannabis plants. So if you’re wondering whether to use hemp seed oil or not because of this, rest assured that your dog will not have any psychotropic reaction. What makes hemp seed oil so great for both human and canine consumption is its perfect ratio of Omega-6 to Omega-3 fatty acids. These essential fatty acids cannot be produced by your dog and they need to be supplemented through their diet. Your dog needs a proper balance of these Omega oils in order to have a long and healthy life. Your dog can greatly benefit from the consumption of hemp seed oil but always makes sure to first run the suggestion by your veterinarian to best determine how your dog’s diet should be. 1 Top Rated Hemp Seed Oils For Dogs! 2 Benefits of Using Hemp Seed Oil on Your Dog. 2.1 So, is Hemp Seed oil good for dogs? 3 Dangers/Risks of Using Hemp Seed Oil on Your Dog. 3.1 So, is Hemp Seed oil safe for dogs? 4 How to Use Hemp Seed Oil for Your Dog. Top Rated Hemp Seed Oils For Dogs! Benefits of Using Hemp Seed Oil on Your Dog. Hemp seed or hemp oil, is a highly nutritional oil and it is easily digestible in its raw state. Upon the confusion of hemp with marijuana, a pet owner might be hesitant to use hemp seed oil and wonder if hemp seed oil is good for dogs. A little research can clear this up for you! So, is Hemp Seed oil good for dogs? “Your dog has substances in his body called prostaglandins. These are like hormones and they circulate around the body, helping to smooth muscle contractions, control inflammation, regulate the body temperature and other vital functions. Dangers/Risks of Using Hemp Seed Oil on Your Dog. Hemp seed oil so far seems like a miracle supplement for dogs, but taking into consideration that every dog is different, it’s important to question whether hemp seed oil is good for dogs. Research so far hasn’t found any significant health issues related to the supplementation of hemp seed oil for dog’s diets, but there are some precautions and warnings. Hemp seed oil has a high fat content, and despite it’s the good kind of fat, the consumption of this oil may cause diarrhea. Therefore, it’s recommended to begin supplementation slowly and work your way up to the proper dosage for your pet. Hemp seed oil may react against the use of anticoagulant drugs and pose a bleeding risk. Hemp seed oil is unstable and should not be cooked because it will go rancid and potentially harm your dog. Hemp seed oil must always be consumed raw. Too much hemp seed oil, along with other supplements can cause an imbalance in your dog’s diet. Always consider your dog’s diet before adding any supplements to it. So, is Hemp Seed oil safe for dogs? Definitely! There are no major side effects that have been found by the direct use of hemp seed oil for dogs. It has many benefits for dogs thanks to its high availability of polyunsaturated fats. The main precautions revolving around hemp seed oil has to do with the way it is administered, any medications your dog may be on, and your dog’s current diet. Be sure to consult with your veterinarian beforehand to determine how to properly supplement your dog’s diet with hemp seed oil. How to Use Hemp Seed Oil for Your Dog. To properly supplement hemp seed oil for your dog you must first consider your dog’s current diet. Hemp seed oil is mainly given orally to dogs, although there are several cosmetic products that include hemp seed oil due to its benefits for the skin. Keep in mind that I am not a veterinarian and that you should always consult with your pet’s healthcare provider first before trying to use hemp seed oil. “…if your dog is eating a poultry-based diet, adding hemp seed oil may cause an imbalance in his diet because chicken is already quite high in polyunsaturated fats and linoleic acid. According to Steve Brown, author of Unlocking the Canine Ancestral Diet, flax seed oil is a better choice for chicken-based diets. Make sure to work up to the recommended dosage. You can give your dog hemp seed oil up to three times per week. Feed your dog a small amount and check if he/she doesn’t end up having any diarrhea. Your dog will need to get used to this new addition in its diet before you feed it its full recommended dosage. Make sure to check with your vet first. Why should I use hemp seed oil for my dog? Hemp seed oil has a variety of benefits for your dog. It’s an overall healthy oil thanks to the presence of a perfect ratio of Omega 6 and Omega 3 oils. This oil will promote your dog’s overall health, improving its immune system, skin and coat, its bone and joint health, brain function, reproductive system, etc. Whether or not to give hemp seed oil to your dog will depend greatly on its diet. If your dog consumes a lot of poultry, then hemp seed will not be the best option for your dog. Make sure to check with your veterinarian first. Will hemp seed oil make my dog high? The amount of THC present in hemp seed oil is not at all significant to produce any psychoactive effects. Therefore, it is not possible for your dog to be high from ingesting hemp seed oil. Marijuana contains 5% or a higher amount of THC. Hemp barely has between 0.3-1.5% of THC, which makes it completely safe and effective for consumption. Are there any side effects to feeding my dog hemp seed oil? The main side effect that can be present when feeding your dog hemp seed oil is diarrhea. Since it has a high content of fats, regardless of being good fats, your dog’s system will need some time to adjust to it. If you feed your dog too much hemp seed oil too soon, he/she will have diarrhea. Other adverse effects of hemp seed oil have to do with whether your dog is on certain anticoagulant medications, or is consuming a poultry based diet, in which case won’t need any hemp seed oil. Can give my puppy hemp seed oil? If you need to give your puppy hemp seed oil, then go for the smallest possible dose. Always check with your veterinarian before trying to feed any type of supplement to your puppy. It’s best to wait after 10 weeks of age to start any supplementation program. Can I use hemp seed oil on my pregnant dog? Hemp seed oil can be beneficial, since it contains folic acid as well. The brain developing properties of hemp seed oil can be passed on to the fetus. Always consult with your veterinarian first thought. 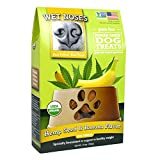 How do I use hemp seed oil for my dog? Hemp seed oil is mostly used internally by mixing it with your dog’s food. It’s important to store your hemp seed oil in the refrigerator once you open it. Some brands of hemp seed oil recommend 1 tsp per every 10 lbs your dog weighs. 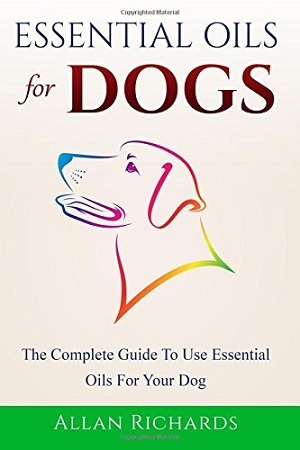 Other resources recommends a range according to your dog’s weight. Make sure you consult with your veterinarian to best determine your dog’s diet and supplement dosages. Hemp seed oil is a great supplement thanks to its readily available Omega 3, Omega 6, and Omega 9 fatty acids. It has a perfect ratio of these fatty acids that are very necessary for your dog’s healthy and overall well being. With benefits that range from a boosted immune system, bone and joint health, improved circulation, healthy skin and fur, and many more, hemp seed oil should be a supplement to consider feeding your dog. Hemp seed oil has hardly any side effects which mostly relate to your dog’s medical condition and pre-existing diet. Keep in mind that hemp seed oil must be introduced to your dog’s diet slowly, as with any other substance. 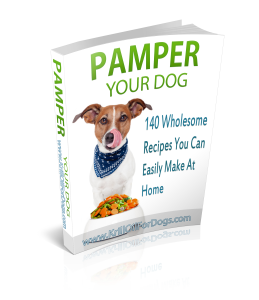 This will help you make sure that your pup won’t have any adverse reaction to it. Be sure to consult your dog’s veterinarian to properly determine the dosage and frequency that your dog needs before you proceed to give hemp seed oil to your dog. By adding hemp seed oil to your dog’s diet, along with a careful consideration of the diet itself, your dog can achieve maximum health!